Is it not Time to Cut the US Land and Air Supply Line that Runs through Pakistan? Since the infamous tweet of Trump against Pakistan on 1 January 2018, the political and military leadership of Pakistan have been trying hard to calm the anger of the Muslims of Pakistan, resorting to anti-US rhetoric, including statements that the war is America’s war. However, their rhetoric has not been translated in practical steps. Instead the US is still enjoying the same level of cooperation from Pakistan’s rulers as previously. 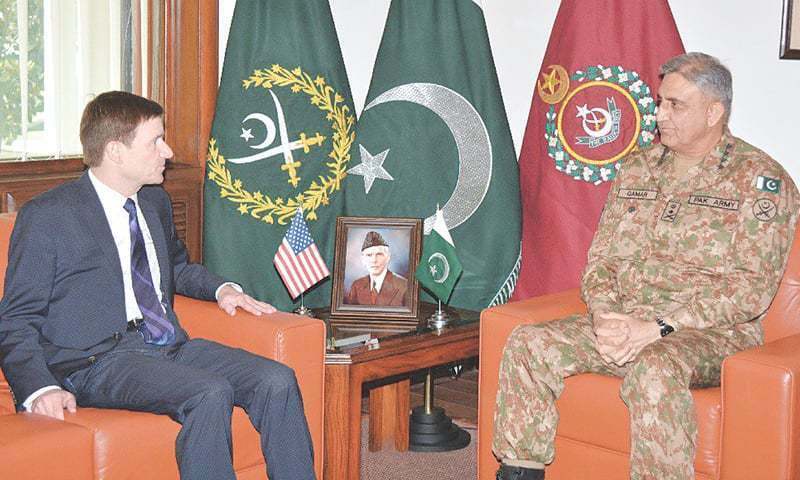 The US Defence Secretary, Mattis, on 5 January 2018, said that the Pentagon was maintaining its communication with the Pakistani military establishment, including with Army Chief Gen Qamar Javed Bajwa, even after the suspending its security assistance to Pakistan. So it is clear that the political and military leadership is deceiving the Muslims of Pakistan and still working behind the scenes to secure US goals in Afghanistan. On 8 January 2018, at the 2nd Tehran Security Conference, Pakistan’s National Security Adviser, retired General Nasser Khan Janjua, conceded that Pakistan has lost 60,000 lives in Pakistan and 120 billion dollars as a consequence of America’s war. Yet despite all these sacrifices, Pakistan been criticized heavily by its ally, the Trump administration, which has suspended aid. To cover up for disastrous consequences of the regime’s alliance with the US, Janjua is calling regional and international players to come to the rescue now. He also urged the regional powers to collaborate and cooperate instead of competing and confronting each other. The solution does not lie in collaboration or cooperation between regional Muslim powers. The Muslims have seen how useless the OIC and the Arab league are, as well as countless other blocs of the current Muslim states. They have never helped Muslims anywhere whether its Palestine, Burma, Kashmir or anywhere else. Moreover, they remain committed to their alliances with the major colonialist powers and so will always be ineffective, individually and collectively.